Yesterday, I got the Force Unleashed II and saw something very interesting. For those of you who have not played or do not own the game, I will not be giving anything really important away. I was about halfway through the first level when I realized something. I had thought about this before, but it finally took my full attention. In the first Force Unleashed, Galen Marek, or Starkiller as he is better known, had a single lightsaber that he held in a reverse grip. 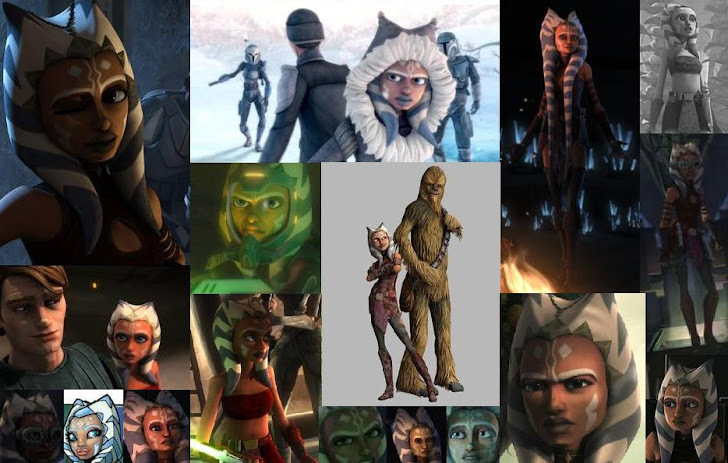 But another of Darth Vader's Apprentices, this one from when he was known as Anakin Skywalker, also carried a lone lightsaber in Shien style; Ahsoka Tano. 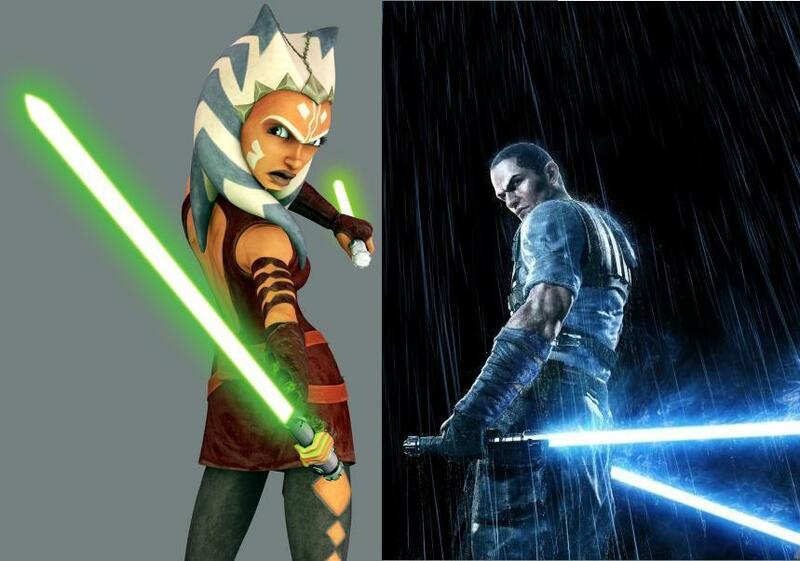 Later on, when Ahsoka gains her Shoto, Starkiller's clone seems to have obtained a secondary lightsaber, this one full sized. 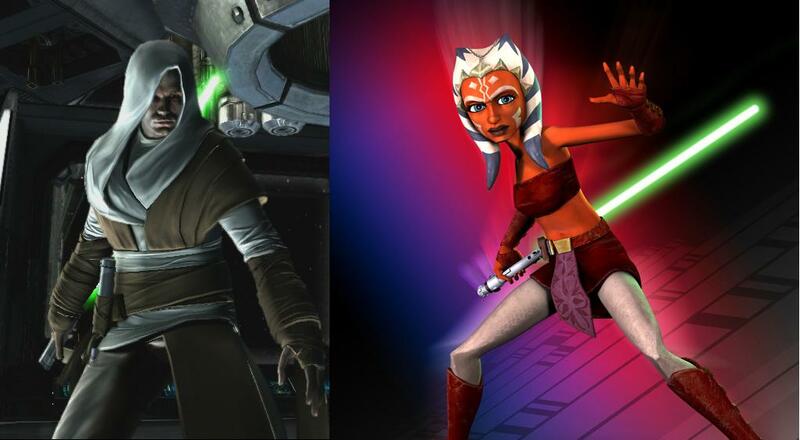 They both still hold their lightsaber in reverse in a extremely similar stance. It is interesting that Vader himself does not use their unorthodox technique, but yet both his Apprentices have comparable weaponry and methods in lightsaber wielding. That is cool. I have never notice that before. Reverse grip reflects the defensive nature of the Jedai. It would be beneficial to defending against blaster bolts to use a shoto or short light saber with reverse grip in the off hand in combination with a full length saber in the main hand. The same combination would be useful against double bladed sabers, pike or staff sabers, and whip sabers; Luke Skywalker uses such tactics in the extended Star Wars universe. Use of two sabers and of varying types of sabers, as well as reverse grip, are taught as part of basic light saber training to all Jedi if you choose to include data from the Jedi Knight PC series along with KOTOR and the Force Unleashed.